There is much speculation as to what songs David will have in his new Christmas Album this November. Rumors of new songs written for him have been mentioned as well as many new arrangements for some of the old standards. I do know for a fact that the following song will be on his album and I had the pleasure of taping this song last year at the Tree Lighting Ceremony in Los Angeles. It was the most beautiful rendition I have ever heard and gave the crowd chills. Also what was so wonderful I was able to video this performance up close. I hope you enjoy my favorite Christmas song sung by David Archuleta. Absolutely AWESOME! Why does this make me cry every time!? It’s the power of his reverence that touches my heart and soul. As his glorious voice crescendos, the tears come. Tears of joy. Thanks, Pam, I love Christmas in August. Pam, I don’t know how I have managed to miss your video up till now. I concur with Minna that it and David are awesome! I’m dying to know: Did you ask David directly if this song is being included? Details, I need details! 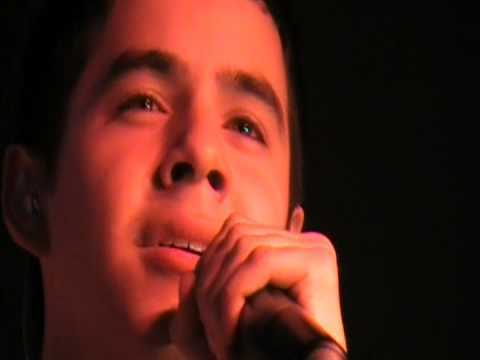 Your up-close view allows us to see the sincerity in David’s face as he sings this Christmas favorite. His voice certainly excels with heart-felt ballads and I can hardly wait to get his Christmas cd in my hands, thanks. I am so looking forward to this Christmas album, I was hoping that “O Holy Night” would be on it! Thank you for confirming it and sharing your video. David has the most beautiful voice I have ever heard and to listen to him sing this is like being in Heaven and listening to an angel! I can’t wait for this Christmas album to come out. Thank you for confirming that “O Holy Night” will be on it! 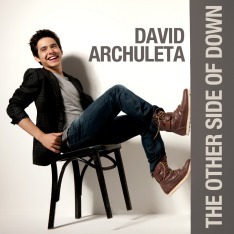 David has the most beautiful voice I have ever heard and when he sings, it is like listening to an angel from Heaven. Thank you for sharing this beautiful video with us! The CDC live chats moderated by Katie often end with “O! Holy Night!” And it’s a perfect way to conclude the chat. It’s as if all of us are gathered by the campfire listening to the final song of the day. I know I always sleep better after hearing David sing this song!